You know it by now. You’re the result of your habits. Is Being a Go-Getter Stopping Your Career Advancement? Is Being an Administrator Actually Bad for Your Career Goals? Are You Honestly Listening to Constructive Feedback? No matter where you sit in your company’s hierarchy, there are always going to be drawbacks. You might be the best manager your team has, and you might be so successful you have become relaxed and at ease with your achievements. Does it Matter What Your Co Workers Think of You? Do you really know what your co-workers think about you? And do you care? It’s easy sometimes to just drift off, stare out of the office window and dream of your next promotion. We’ve all done it at some time, and continued to wonder how we might achieve our goals. Are You Too Good At Your Job To Get a Promotion ? Are you stuck in that unenviable position of being so good at your job that your boss doesn’t want to lose you? Are You Tired of Being Left Behind When it Comes to Promotions? You’ve been working for your company for some time now, and although you are good at what you do you are being constantly overlooked for a promotion. Many mistakes are made by middle managers when they are applying for an internal position. In fact, most don’t realize that they are at a distinct disadvantage. And thus, they are less likely to get the job. Are You Learning the 4 Essential Skills Needed for That Senior Position? As an employee you do a great job of managing your department. You know what is happening, who is doing what, and you also know, how to achieve the best outcome for your company. Many people make the mistake of thinking that because they already work for a company, they will be considered leniently for a promotion. This is especially true if they have been invited to apply by their senior managers. How Do You Know You Are Ready for a Career Change ? One of the most daunting things many people face when they are considering the career goals of a manager is whether they should change their career. Want to Get Into Your Boss’s Head? The Answer to This Question is Easier than You Think. If you are a manager and you are constantly frustrated with the lack of progress your career path is taking, then perhaps it is time you forgot the tips and advice you’ve been using. How should I ask for promotion ? We’re wrapping up 2017 with so many subscribers from different industries...and we have YOU to thank for it! Looking forward to continued success together in 2018! Boss isn't promoting you? Don't ignore these 4 signs why. 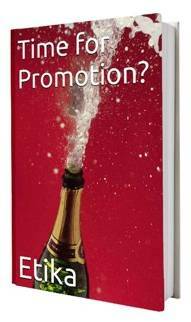 What are the secrets to ensuring your own promotion? Promotion opportunity in the works? Don't ignore these 5 pieces of advice. Rejected for promotion? Here are 5 questions you must answer now. Can a career coach boost my chances for promotion? Every year the world over, annual performance (aka “feedback,” “assessment,” or ”appraisal”) reviews take place. In many organizations, reviews are a formal affair, while in others they are more casual. Another annual performance review has come to an end. And once again, you’ve managed to make it out alive. Good job. Is your career stuck? Look out for these 6 signs of the writing on the wall. Most of you will agree. There’s nothing more disappointing than getting passed up for promotion and veered off your corporate development pat. But can you do anything about it? Boss sabotaging your next promotion? Here are 4 reasons why. Here's a situation you never want to find yourself in if you want to get promoted. In my last post, we looked at four reasons why your boss might be keeping you from being promoted. This time, we’ll be looking at a tough one: your boss simply doesn’t want to let you go. Is your boss blocking your promotion? Here are 3 things you MUST do now. I can’t think of anything more demotivating than this: your boss has told you that you’re getting passed up on a promotion. Period. Going for a promotion? Don't miss these 4 crucial steps. There’s nothing worse than missing the boat when you want to pursue opportunities at work. Once they’re gone, they’re gone...but you can prevent this. There’s a new position open at work and the heat is on. Go for it. Competing for an executive job with external candidates? Discover why YOU might be at a disadvantage. What's the best way to work on your weaknesses? What’s the best management course to take? Looking to manage your career? Put those tips aside. In our quest to find the “right” way to manage our career, the real question we’re trying to answer is: How can I make sure my career plays out the way I want it to? About to get fired? What to do when the writing’s on the wall. The New Year’s festivities have come and gone and many of us have returned to work with renewed excitement and optimism for the new year - great for getting started on those New Year’s Resolutions. We’re wrapping up 2016 with ten times more subscribers than we had in January, and we have YOU to thank for it! Looking forward to continued success together in 2017! What role do dreams play in our lives? You’ve had this job for about five years. Friends at other organizations are being promoted. You’ve been told to wait just a bit longer for your own corporate development career path. The holidays. Whether you’re Christian, Jewish, Muslim, Buddhist, or a non-believer - whether you celebrate an actual holiday or just enjoy the lights - there’s just no denying that special end of the year feeling. You're going above and beyond at work...but no one seems to notice!? Originally published on Career Experts. When we make a promise to ourselves we are creating a statement about what we want to achieve - our dreams and goals. 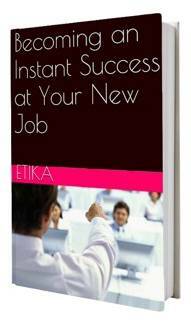 Are you looking for career advancement solutions that actually work? Your co-worker got YOUR promotion? Here what you need to do. When is it time to leave my job? You were sure that the promotion was all yours, but your boss had other plans. Discover the real reason your boss isn't promoting you . Discover why you've been rejected for promotion. A whiz at generating ideas? Hold your horses - for your career's sake. A whopping 72% of successful managers don’t achieve their career dreams - despite all of what they have going for them! And here’s the kicker: it’s because of their success that they don’t get promoted! Rejected for promotion? Here are 4 gameplans to avoid. Getting rejected for a promotion is no game. Check out these 2 important tips for your annual performance review. It’s that time of the year again. Check out these 2 important tips for your annual performance review. Planning your next promotion? Here’s how to handle your boss. Your corporate development career path: is it time to give up your dream of promotion? No, I don’t mean that we all wear certain brands of clothing. Tired of chasing your tail? 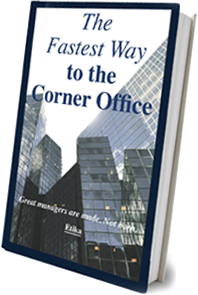 Follow these 7 Steps to Career Management and pave the road to your corner office. The New Year’s festivities have come and gone and many of us have returned to work with renewed excitement and optimism for 2016 - great for getting started on those New Year’s Resolutions. Only 28% of our promises will actually be kept. 12% of our promises will be changed (to make things easier). Of course you’re motivated. And that’s a great thing for your journey to the corner office. But, as you probably know, most people’s journeys don’t end up as planned. What’s the reason? We all start off our career with great aspirations and dreams. But for a shocking 70% of us, these dreams will never come true. Good managers like you know how to set goals and milestones for your organisation. But what about your personal career goals? Do you “manage” them as you do your organization’s goals? Our failures: are they just bad luck? We fail interviews and get passed up for promotions. Our gut reaction is to blame the boss, the interviewer, nepotism, but mostly just plain bad luck.